Big Paw Designs makes adorable pet accessories. What makes them different from a lot of the other pet accessories is their commitment to supporting pet rescue organizations. 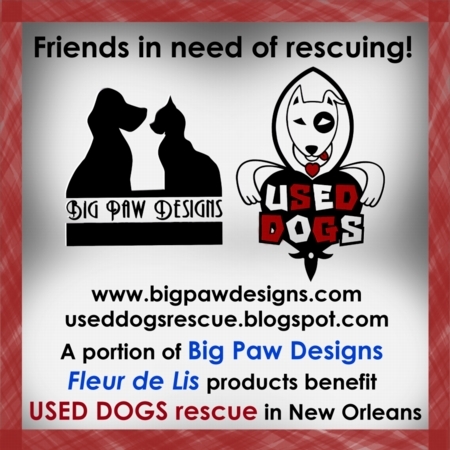 One of their charities is Used Dogs a New Orleans pet rescue charity. Everything on this page will directly benefit this charity in New Orleans. The great people at Big Paw Designs sent me a sticker and collar charm to review. I mean seriously how cute is the Fleur de Lis? Of course I am giving this wonderful dog collar charm to as my mom calls him my "furr brother". As a family we have gone through some pets. We can not seem to find one that fits us our family. I know the time is coming where we will have to get the kids a pet. I strongly believe that we are going to find our perfect family dog (and it would be a dog for us since my daughter is allergic to cats) at a shelter or a rescue center. There are some wonderful loving animals at shelters and I highly recommend stopping by one to see if you can find a new member for your family if the time is right for you. 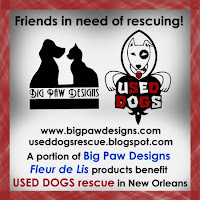 The wonderful ladies at Big Paw Designs have graciously offered a $15 coupon to their site. Go to Big Paw Designs and tell me something you would purchase if you won. This giveaway will end on December 5th at 1159 CST. 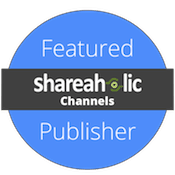 The winner will be chosen via random.org and notified by email. The winner will have 48 hours to respond or a new winner will be announced. Disclaimer: I was sent products to review from the company. However, all opinions are my own and are 100% honest.